Shots in the dark for the bachelorette! Customize a cute glow-in-th dark design for the big night out. She'll stand out in the club with this design. 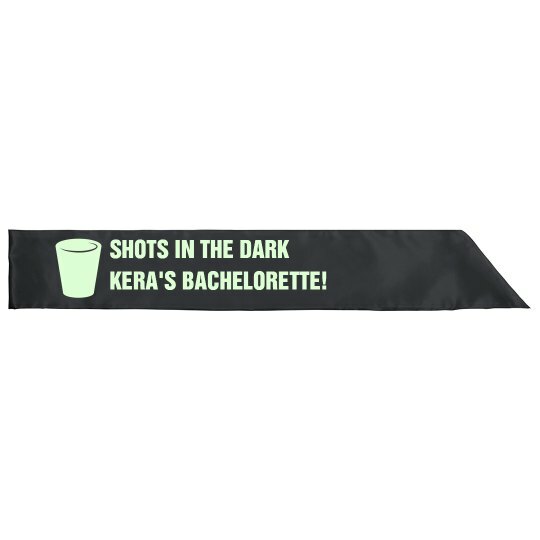 Custom Text: SHOTS IN THE DARK | KERA'S BACHELORETTE!